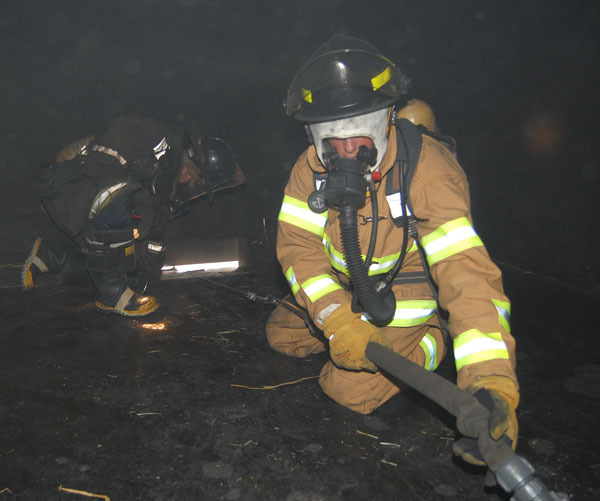 An analysis of the design of self-contained breathing apparatus (SCBA) and how it affects metabolic stress levels during fire-fighting activities. 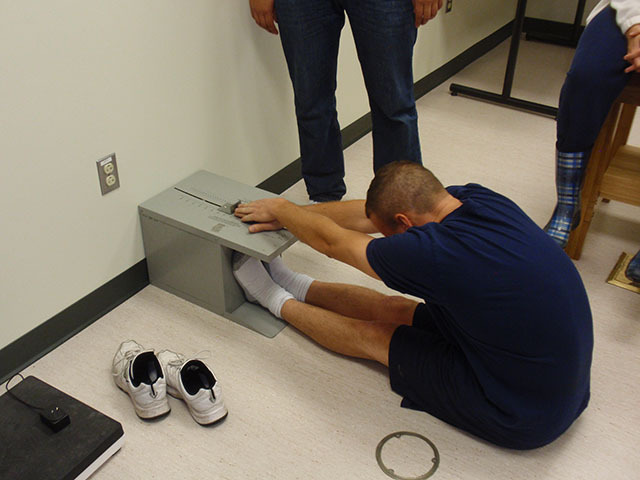 The goal is to prevent injuries caused by problems with balance, mobility and over-exertion. A study of the effects of aspirin on blood circulation before and after live fire-fighting activities. 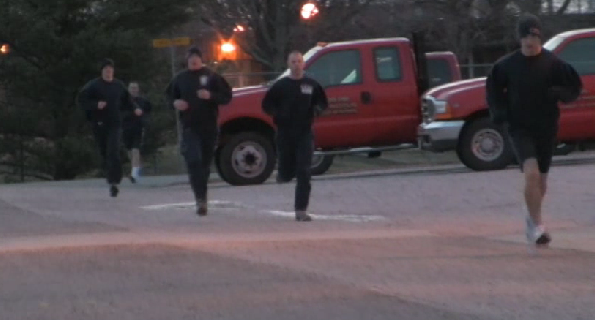 Researchers are assessing aspirin's role in reducing the risk of heart attacks -- the number-one cause of firefighter deaths -- in firefighters who are over 40 years old. 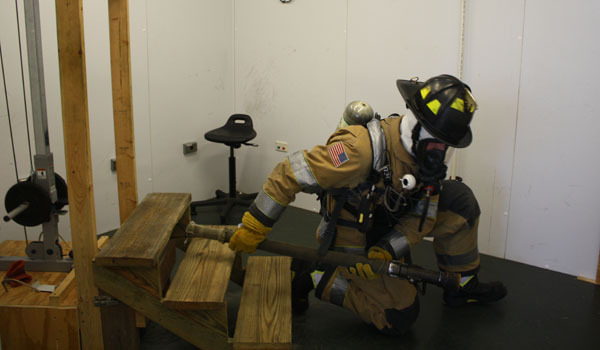 Firefighting is hazardous work, as evidenced by the high rate of injuries and illnesses among firefighters. 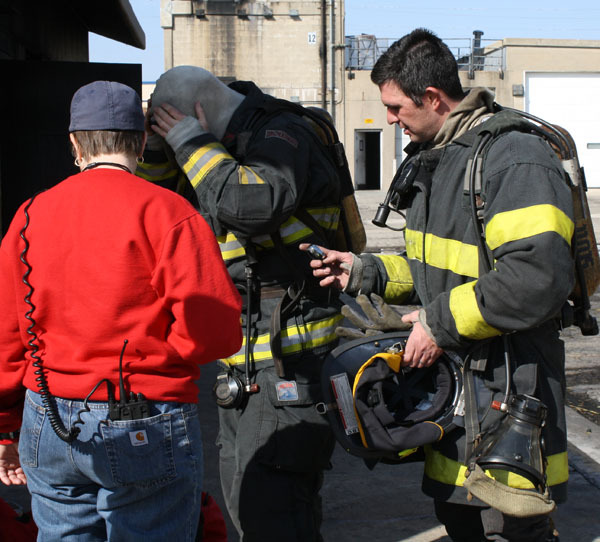 In particular, firefighters have the potential for simultaneous exposure to high levels of noise, stress, and fatigue, and there is an emerging body of literature that suggests that these exposures may be related to injury risk. 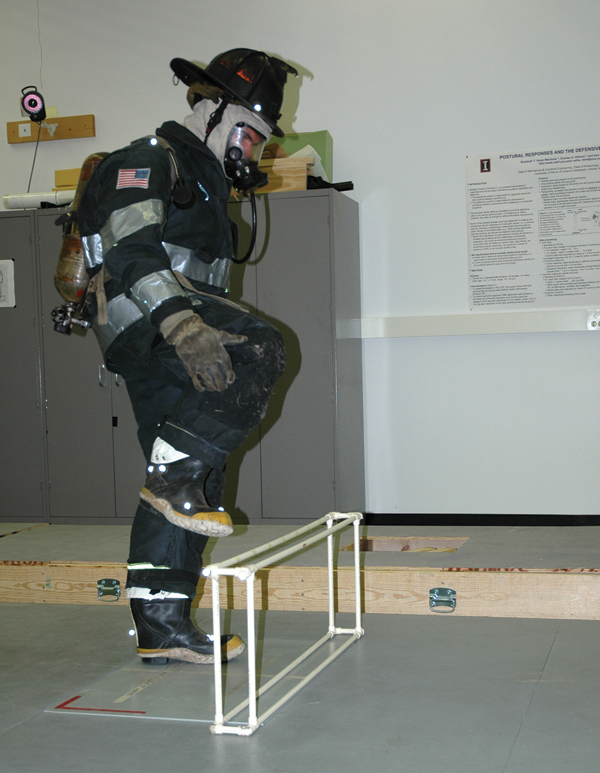 A study of the causes of slips, trips and falls -- the number-one cause of firefighter injuries -- with a focus on developing methods for reducing these injuries. 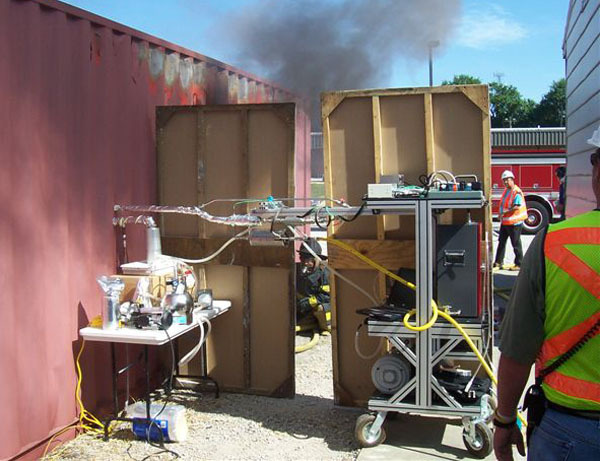 A project to assess the extent and impact of smoke exposure encountered in typical fire-fighting scenarios. 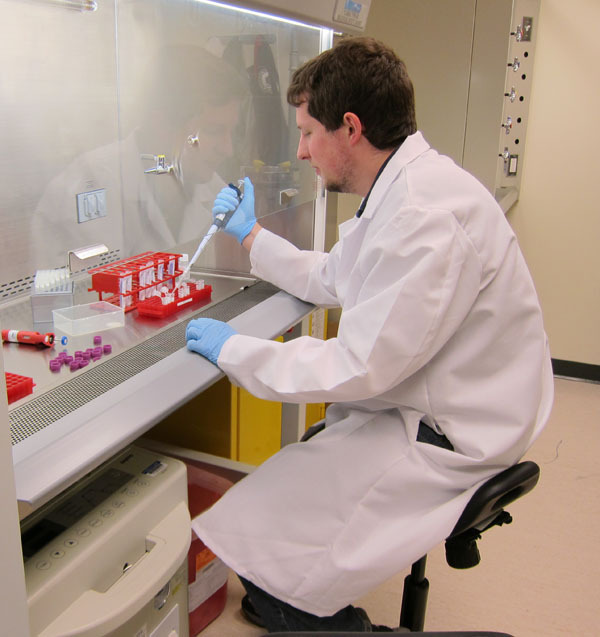 Commissioned by the National Institute for Occupational Safety and Health (NIOSH), the study is measuring smoke production in the environment, deposits on personal protective equipment, penetration into the skin and absorption into the body. 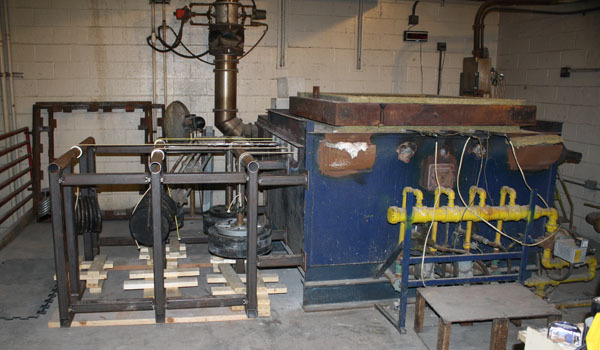 Evaluation of how heat, temperature changes and different types of knots affect the tensile strength of rescue and escape ropes. 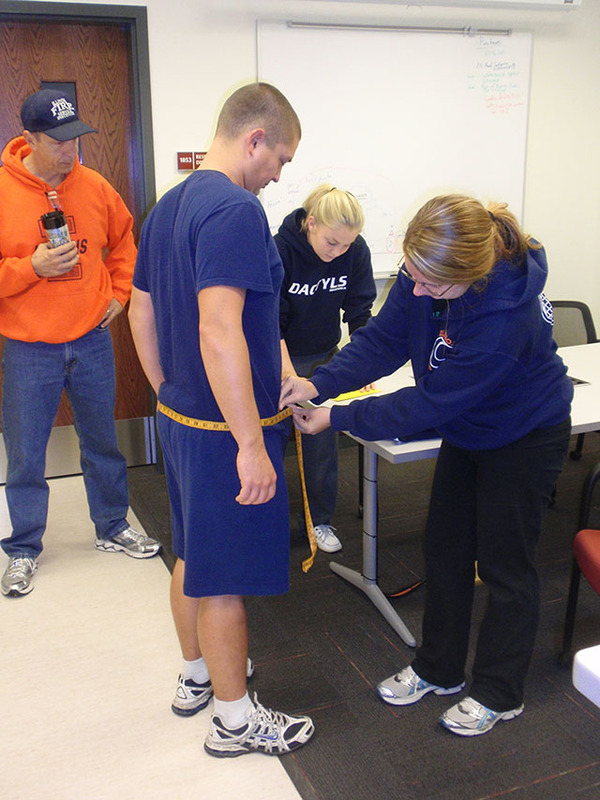 A project to track the long-term health and safety of firefighters who complete Academy fitness training and compare the results with those who do not. 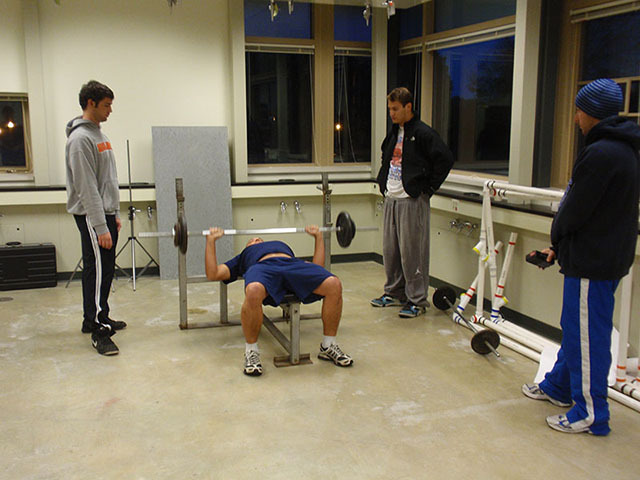 An examination of the physical and psychological effects of intense heat stress on the human body. 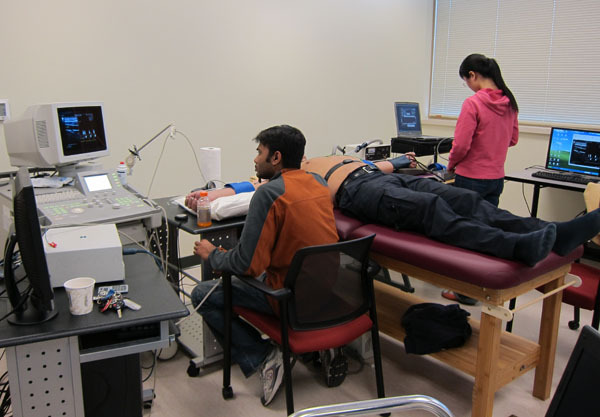 The project includes study of the effect of over-exertion on the cardiovascular system, measurements of recovery times and evaluation of rehabilitation protocols. 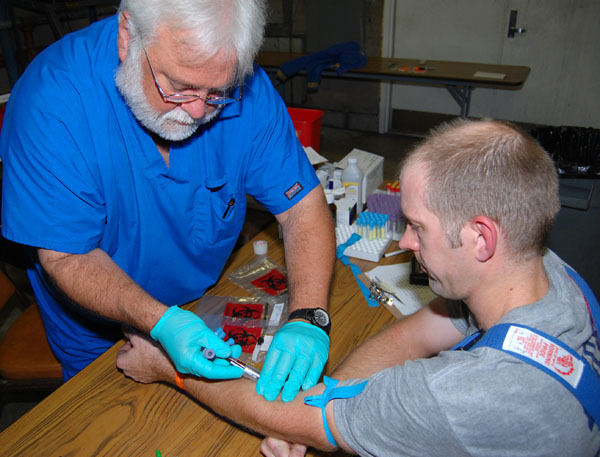 Development of a low-cost, reliable tool that can be used at incident scenes to quickly assess the hydration status and rehydration needs of firefighters. 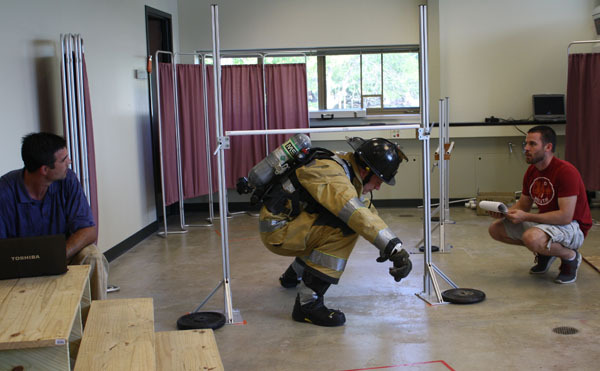 Research into how firefighting activities affect cardiac function, blood coagulation and blood-clot formation, with an emphasis on how to help firefighters recover at incident scenes. 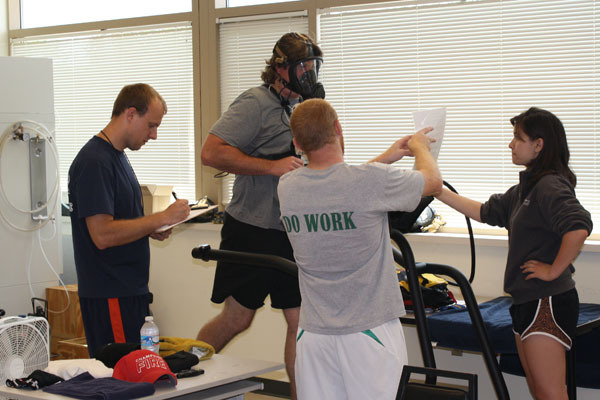 An examination of cardiac risk factors in obese vs. "lean" firefighters. 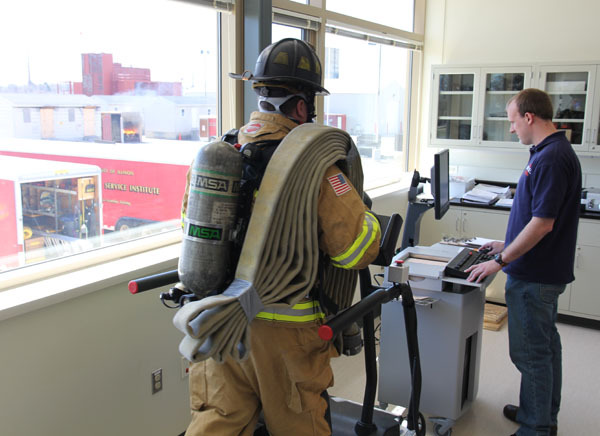 Comparisons included systolic and central blood pressure, arterial stiffness and blood-clotting profiles before and after fire-fighting activities. 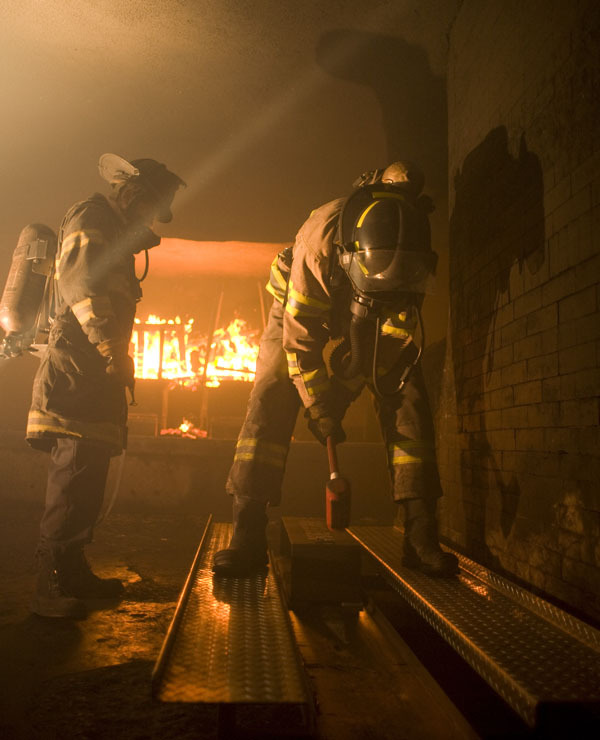 Examination of the reasons behind the increasing proportion of injuries compared to the number of fires. 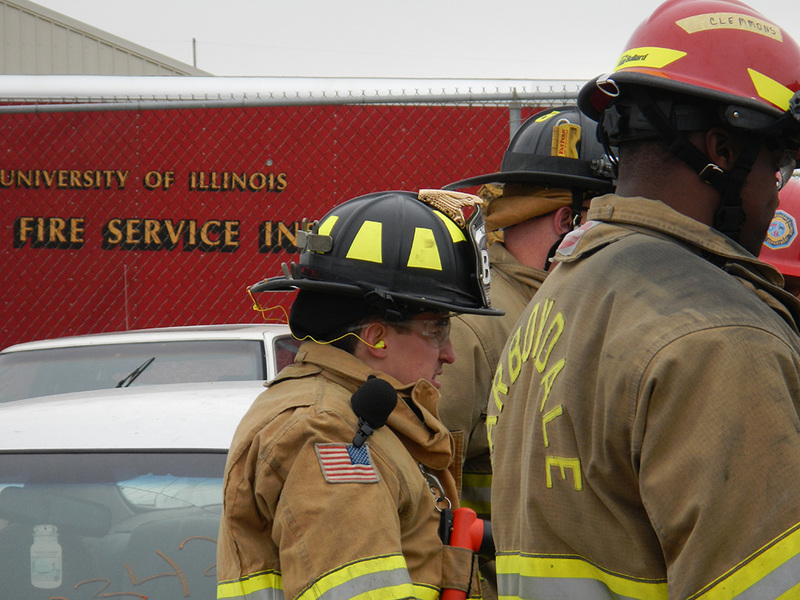 Despite a decreasing number of fires, injuries remain constant.